Orchids are a symbol of love and longevity. For Valentine’s day we at Long Stems get dozens of orchid plants. 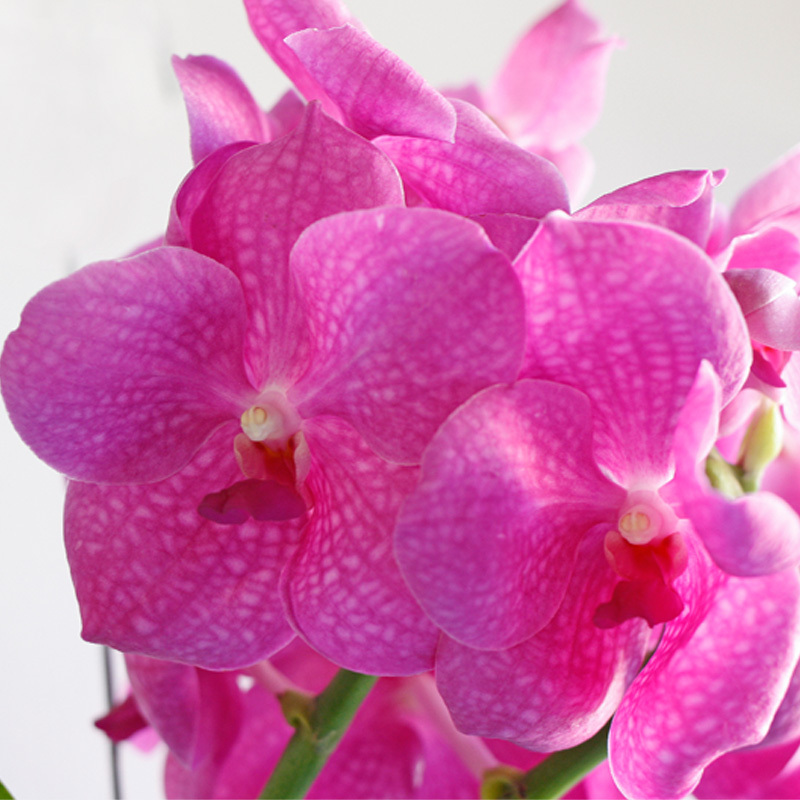 Orchid plants are easy to care for and the blooms can last up to two months! 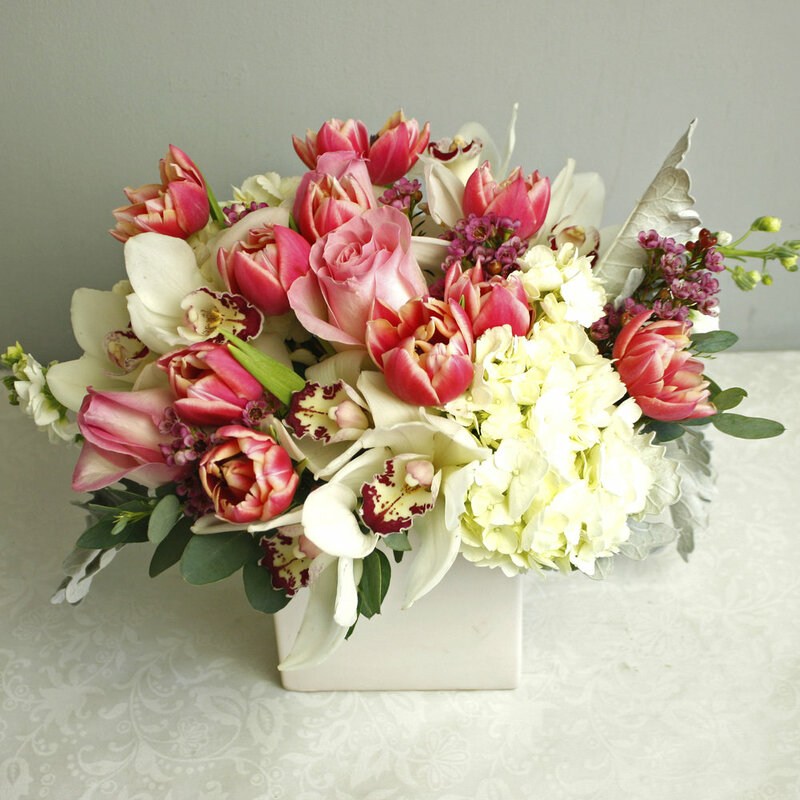 We get dozens of different varieties from Fuscia Phaleonopsis to Burgundy Cymbidium. We love all of our different orchids from arboreal to terrestrial. Read more for orchid care and more info on specific varieties. 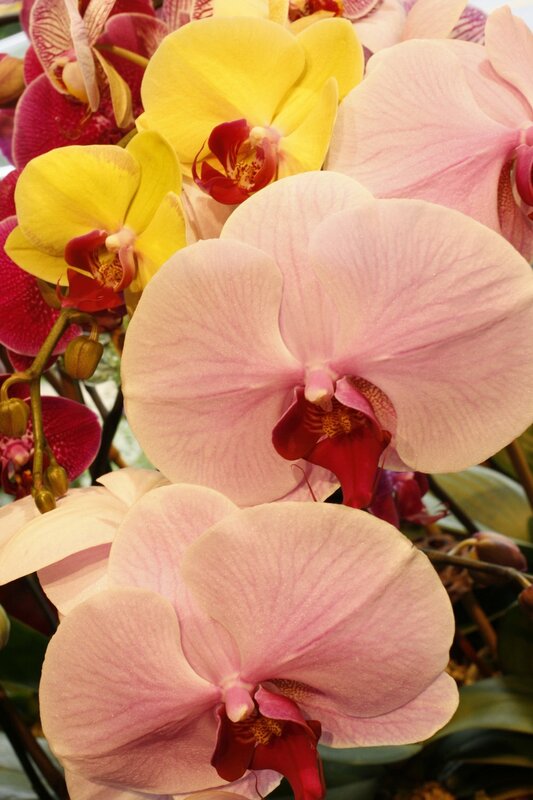 Long Stems has been providing the Greater Philadelphia Area with the largest selection of orchid plants for over 40 years. It is our goal to source only the best possible orchid plants for our customers. We deliver orchid plants daily to Abington, Narberth, Ardmore, Merion, Philadelphia, Blue Bell, Collegeville, Wayne, King of Prussia, Radnor, Bala Cynwyd, and so many more, over 200 towns and cities in the Greater Philadelphia Area. Phaleonopsis Orchids are the most popular orchid plant. They last longer than most varieties and have a larger bloom size. 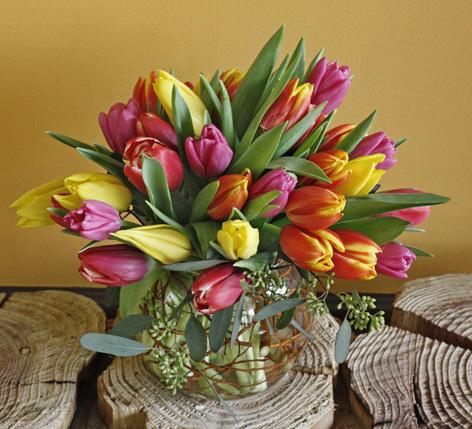 They come in a variety of colors and we carry them at Long Stems year round. We deliver orchids daily to Merion, Bala Cynwyd, Drexel Hill, Philadelphia, Ardmore, Blue Bell, Wayne, King of Prussia, and so many more, over 200 towns and cities in the Greater Philadelphia Area! Phaleonopsis care is simple. They are arboreal orchid plants meaning they grown in trees, specifically trees in tropical rain forests. They never should get cold (Below 60 degrees) and must be kept indoor. They love humidity and should be misted daily if you run a lot of heat or A.C. in your home or office. They should be watered every 6-10 days depending on humidity levels, when the moss around your phaleonopsis orchid dries out you should water it. Watering your orchid is very import, you should make sure to completely wet the surrounding moss without allowing the plant to sit in water. A phaleonopsis orchid should NEVER sit in standing water, they are arboreal plants and need to drip dry completely before being returned to their pot if the container has no drainage. We carry phaleonopsis orchids year round. Passion Orchid - phaleonopsis orchid in birch bark cube, very popular and stylish! Harmony Orchid Plants - phaleonopsis orchids in modern white ceramic pot, perfect for a modern home or office space! 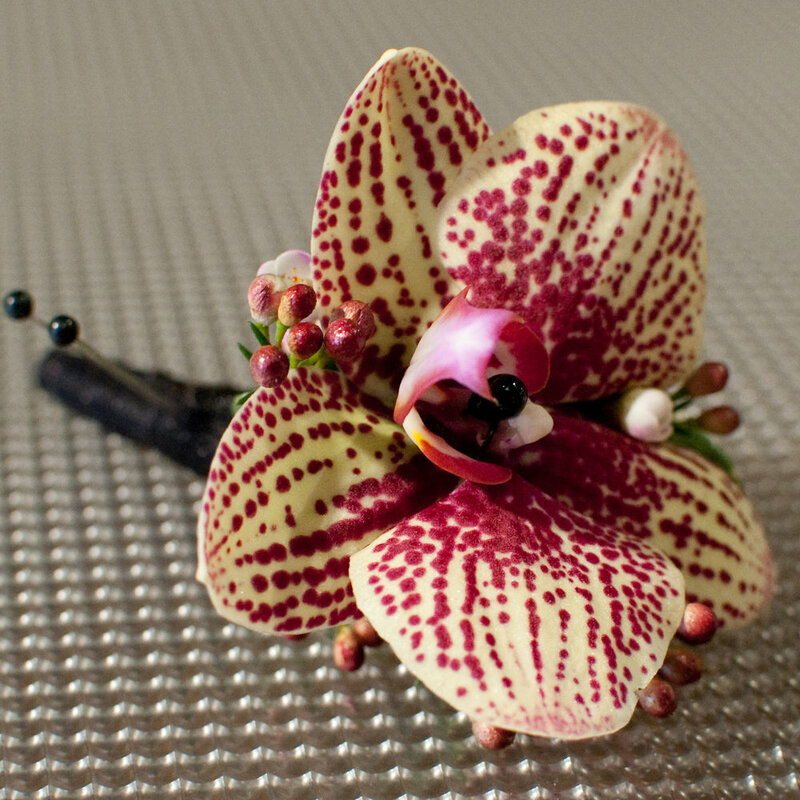 Other orchid varieties are Vanda, Cymbidium, Dendrobium, Pansy Orchids, Lady Slipper Orchids, and so many more. Call our store at 610-664-7352 to ask about which varieties are currently in season and in our store. Here are some of those varieties that we have had. 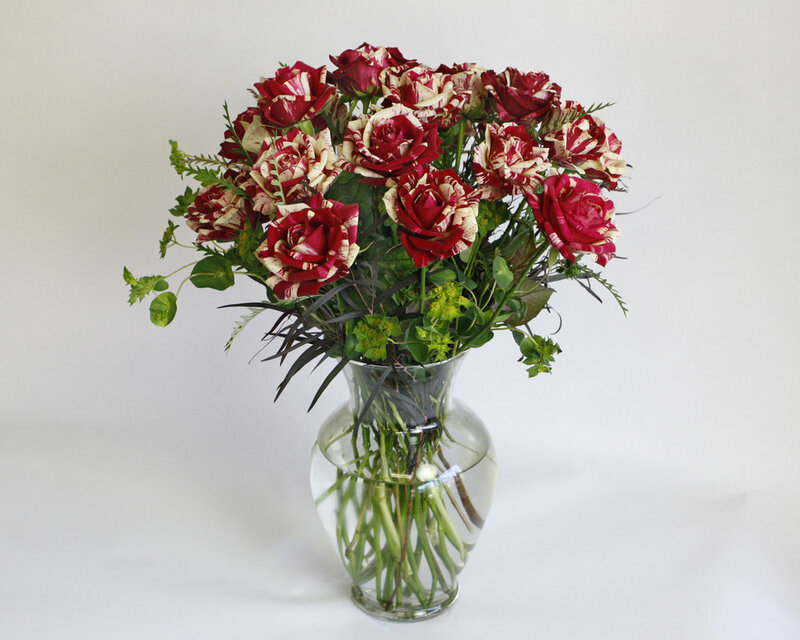 Cymbidium orchid in glass tube, Perfect for a modern home or office space! 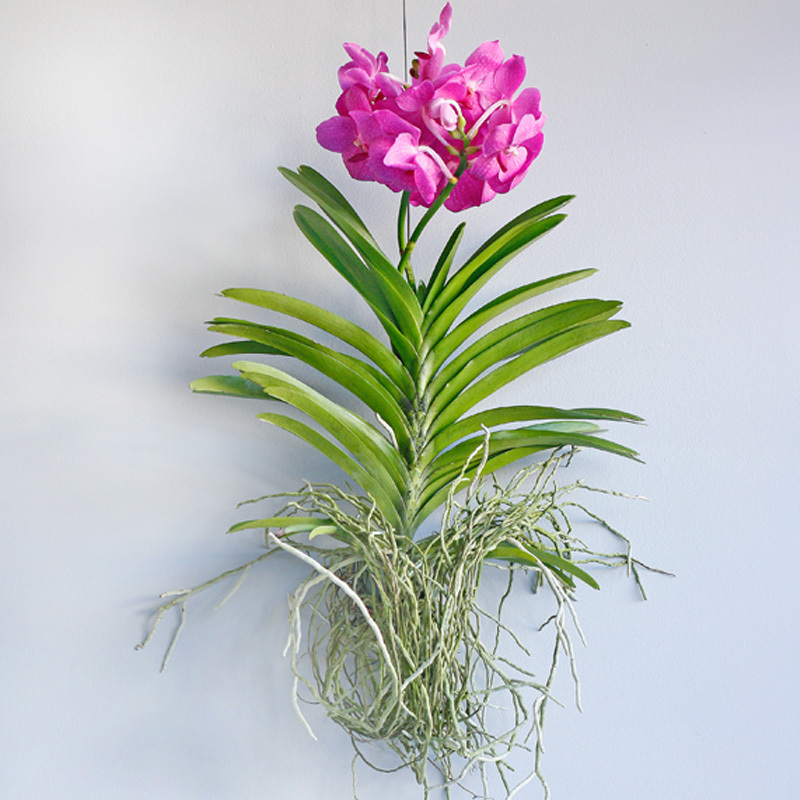 Hanging vanda orchid - stunning large blooms!